Noticias de CAMACOL: Hey, Siri, How Will Apple Keep Up With Google and Amazon? Hey, Siri, How Will Apple Keep Up With Google and Amazon? Witty, perhaps, but Siri will have to supply more satisfying answers if it’s going to convince customers, developers and investors that Apple is keeping pace with Alphabet Inc.’s Google Now and Amazon.com Inc.’s Alexa in one of the hottest emerging areas of tech: virtual personal assistants. Alongside updates to Apple Music and the company’s mobile, watch and television operating systems, Apple will announce that for the first time it will let outside developers integrate Siri with their apps, according to a person familiar with the plans. Getting programmers on board is an essential step toward building tools that make Apple’s devices more indispensable -- such as apps that let you use voice commands on an iPhone or iPad to order a pizza or summon an Uber car, both of which Alexa can already do through the Echo in-home speaker. Technology news website The Information reported in late May that Apple planned to open Siri to apps made by others. Indeed, Apple is trying to pull people deeper into its network of apps and services -- from iTunes to Apple Music and iCloud storage -- to help make up for slowing iPhone sales. The developers conference, which focuses on software, has therefore become more significant for Apple after playing second fiddle to the company’s much-heralded hardware rollouts for years. Chief Executive Officer Tim Cook has repeatedly highlighted the importance of sales from services, which have become the fastest-growing part of Apple’s business. As part of that drive, Apple earlier this week laid out changes to the App Store. Starting Monday -- the day the conference kicks off in San Francisco -- Apple will halve the portion of sales it takes from developers if customers subscribe to a product for more than a year, and it will let developers pay to get more prominent placement within U.S. App Store searches. A revamped music-streaming service will also feature in the presentation at WWDC, Bloomberg News reported in May. A consumer shift toward music streaming poses a mounting threat to the $3.5 billion iTunes song-download business, and Apple’s year-old answer to Spotify Ltd. and Pandora Media Inc. has been troubled by tepid critical reception, infighting and executive departures. That’s prompted an overhaul of the $10-per-month Apple Music streaming service, which will be unveiled on Monday and include changes to the interface intended to make it more intuitive to use. The race to develop the most useful virtual assistant will help decide whose products consumers use to engage with the digital world. Apple got a head start when it introduced Siri in 2011. 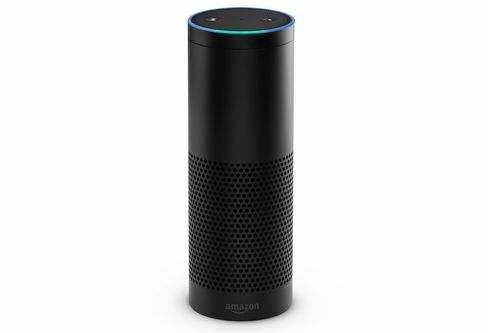 Yet in the years since then it has lost ground to Google Now, which followed in July 2012, and Amazon’s Alexa, unveiled in November 2014. That’s why the audience at Apple’s annual developer confab will pay particular attention to anything software chief Craig Federighi might say about improvements to Siri if he takes the stage at the Bill Graham Auditorium. A Siri developer kit -- the software tools that let programmers create applications -- would increase the number of products and services that iOS users can access through Siri, tying them more closely to Apple devices. While virtual assistants will play an increasingly important role in the automated home, for now Siri’s abilities are aimed at ensuring customers keep buying iPhones and iPads. Significant improvements to Siri would make about one in five Americans more likely to buy an iPhone, according to a survey by advertising technology company Fluent LLC. Amazon released a software development kit for its virtual assistant a year ago and Google did the same in March, just two months before it announced an Echo competitor called Google Home. A Siri SDK could lay the groundwork for a similar piece of hardware from Apple, according to Royal Bank of Canada analyst Amit Daryanani. Alexa is better than Siri at comprehending different accents and dialects, while Google Now has the edge in understanding the intent of a question and translating that into an action, such as checking your calendar or giving you driving directions, according to Rob May, chief executive of Talla Inc., a Cambridge, Massachusetts-based developer of virtual assistants for businesses. 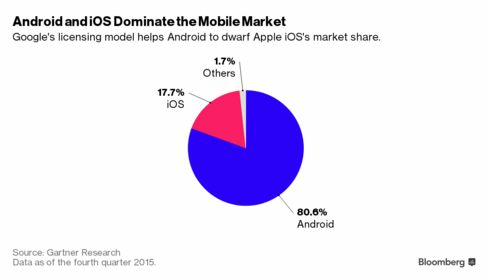 Apple’s advantage lies in its vast network of developers.